Originals plugs specifics for your car included in the package! The control unit is equipped with Italianspeed original wiring, connectors specific to your car. All cables used are suitable for automotive use, with fire-protection properties and moisture repellent, being fitted with seals to measure. The controller Italianspeed comes ready to use, but you can still adjust it. The power regulator, allows you to modulate the power, in relation to the map you are using. 4 programs loaded in each unit, interchangeable at will. Different power curves, load in your unit Italianspeed. All maps meet our standards of quality, and offer the best performance, while remaining within the design limits of the engine. 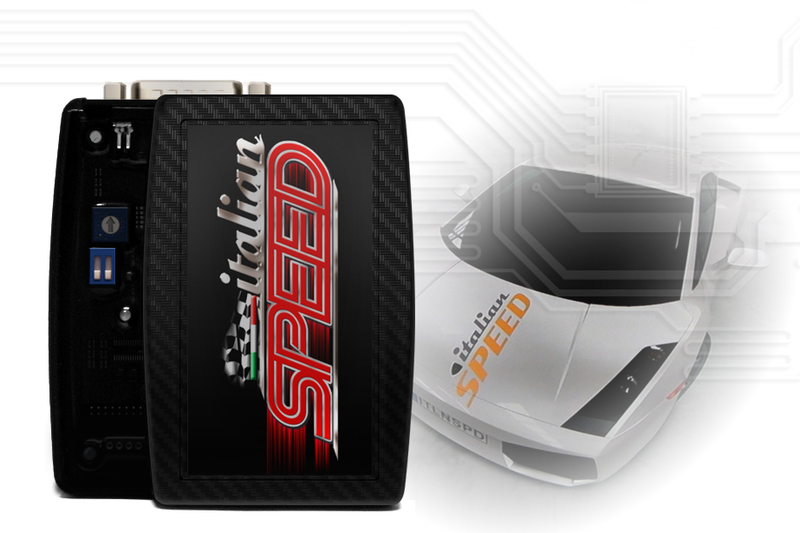 The LED present on all units Italianspeed, tells you whether the installation is successful, flashing regularly. The LED will be green, or red, the operation will be the same. Thanks to this on all our units, if you replace the car, we can reprogram your Italianspeed, for the new engine. Included in the price, each unit will be equipped with the predisposition of a wireless remote. You can buy it freely at any time. This accessory uses "encrypted signal."